Below, please find a link to our monthly "Backlist" asset packet for September. 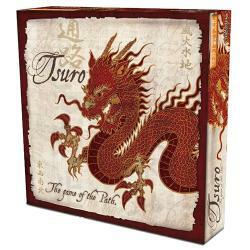 This month's title is Tsuro-The Game of the Path. As we are committed to supporting our backlist, we are distributing tools to help promote one title each month. These resources should help you increase awareness of the product at the retailer level AND give those retailers tools to help sell the game. This link will take to you a number of assets for Tsuro, including a "How To Demo Tsuro" script, a "History of Tsuro" article, a pre-generated Facebook ad for retailers, two fun Tsuro memes, and links to a "How To Play" video, product information sheet, product pictures and logo.